Shop Francis Furniture of Troy, Sidney or Greenville and let us customize a financing plan just for you. To make your shopping experience at Francis Furniture easier and without unnecessary delays, click on the link below and complete our on-line credit application. Make sure you let us know that you filled out the on-line application. We will customize a financing plan just for you. See it, buy it, love it with your Synchrony Home Card. 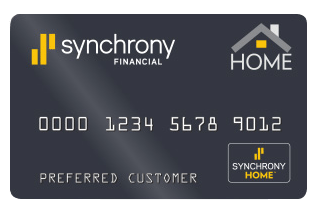 Francis Furniture now accepts the Synchrony Home Card. If you have one, great. If not, click below to apply. 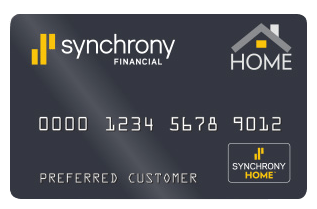 With your Synchrony Home Card take advantage of special financing offers* and a dedicated credit limit providing the convenience of monthly payments. See our store for details. **Subject to credit approval. Minimum monthly payments required. 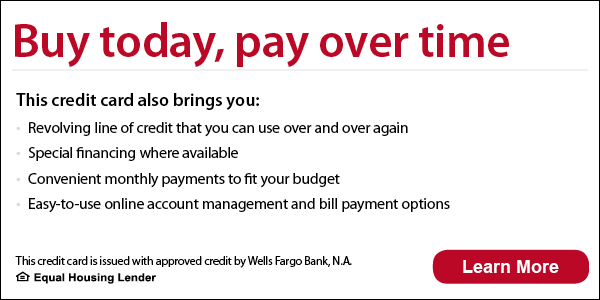 Promotional financing offers available at the time of purchase may vary by location. See store for details. 1For new accounts: Purchase APR is 29.99%. Minimum interest charge is $2. Existing cardholders should see their cardholder agreements for their applicable terms. Have a question, feel free to ask us. Click here.